Style to get you there, during, and to get you home. 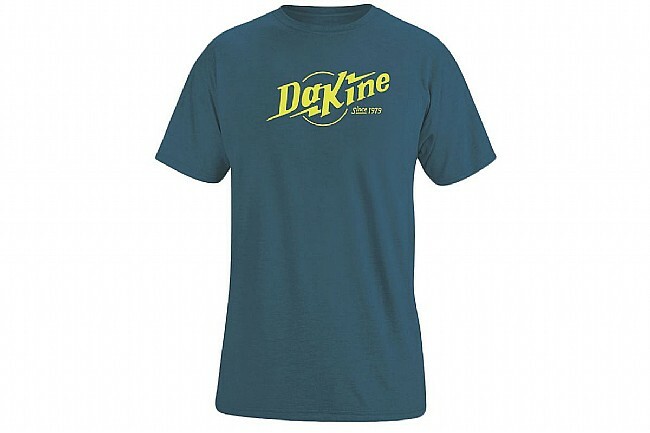 Dakine's Men's Tech T is made from a quick-dry polyester blend that's lightweight, breathable, and ultra soft on the skin. It has perfect style for getting to and from the trail, with high-tech moisture-wicking so you can tackle the mountain in relaxed comfort. Available in multiple colors. 75% Quick Dry Polyester / 13% Cotton / 12% Rayon.